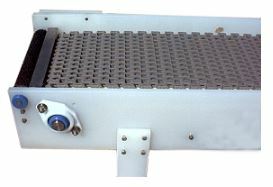 Powered Zero Pressure Accumulation Conveyor – BNB Industries, Inc. Zero pressure accumulation conveyors keep the conveyed product in its zone with the use of sensors until it receives signal to release it, then balance of the products will move forward to the next zone while staying in their designated space. 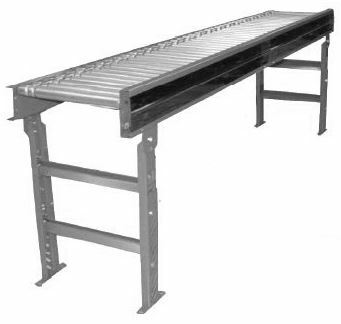 This type of conveyor is often used for picking lines, shipping and receiving lines, manufacturing and assembly lines and for storage and retrieval systems. 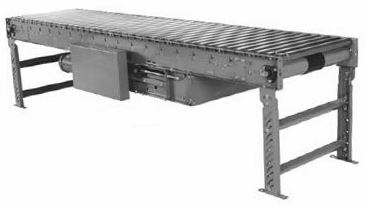 Also used for feeding another piece of equipment, case sealer, strapping machine, stretch rapper, transfer conveyor or reciprocating conveyor. Efficient to operate – less drives required. Frame: 7” x 1-1/2″ x 12ga. Formed Channel frames. Frame: 5-1/2” x 1-1/2″ x 3/16″ Formed Channel frames that are slotted for tread rollers to pop-out. Frame: 6-1/2” x 1-1/2″ x 10ga. and 4-1/2” x 1-1/2″ x 10ga Formed Channel frames. Frame: 7” x 1-1/2″ x 7ga. and 5” x 1-1/2″ x 7ga Formed Channel frames. Fast and easy installation and setup. Low Maintenance and fewer spare parts. 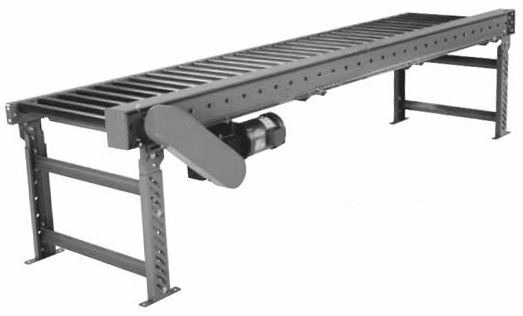 24 volt DC Motorized rollers are used to drive the conveyors eliminating the need for drive belts, chains or line shafts. Very quiet conveyor. The zones are controlled by photo-eyes. Frame: 5” x 1-3/4″ x 12ga. (rollers set high) or 7” x 1-3/4″ x 12ga. 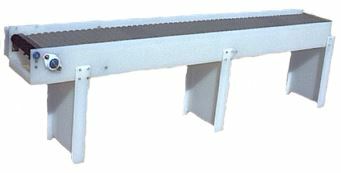 (rollers set low) Formed Channel frames. Straight and 30, 45, 60 and 90 degree Curved sections available.